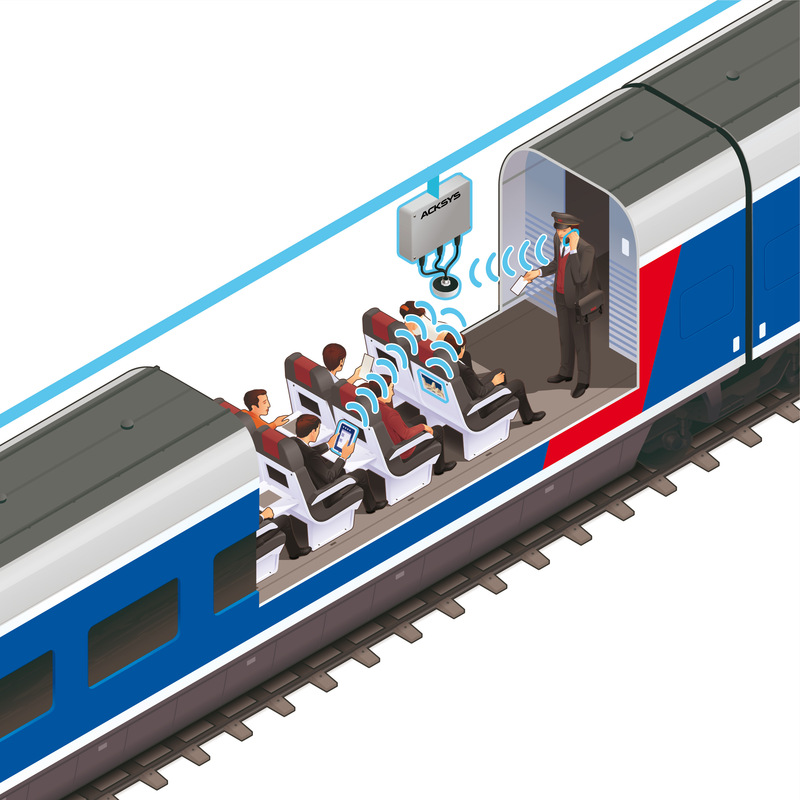 Nowadays, setting up a highly-available wireless network in a train is an absolute requirement for operations but also for passengers*. In this perspective, ACKSYS offers WiFi devices allowing seamless in-car coverage through an easy deployment. 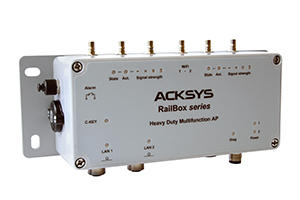 Thanks to a multi-core CPU architecture, RailBox is able to support simultaneously two 802.11ac streams, allowing achieving higher speeds while avoiding potential interference with other networks and increasing the number of users connected and the connection speed. The multi-user sharing features integrated into the 802.11ac combined to a standardized beamforming technology allow better signals concentration and direction over to the users for an enhanced WiFi experience. * ACKSYS relies on its partners for multi-cellular routers (passengers WiFi).